This week we bring you the thirty-sixth installment of Alden McWilliams’ illustrated tribute to the pioneer fliers of the early days of aviation which he called “They Had What it Takes”. We’re up to the January 1940 issue of Flying Aces where McWilliams featured Canada’s Greatest WWI Ace—Billy Bishop! 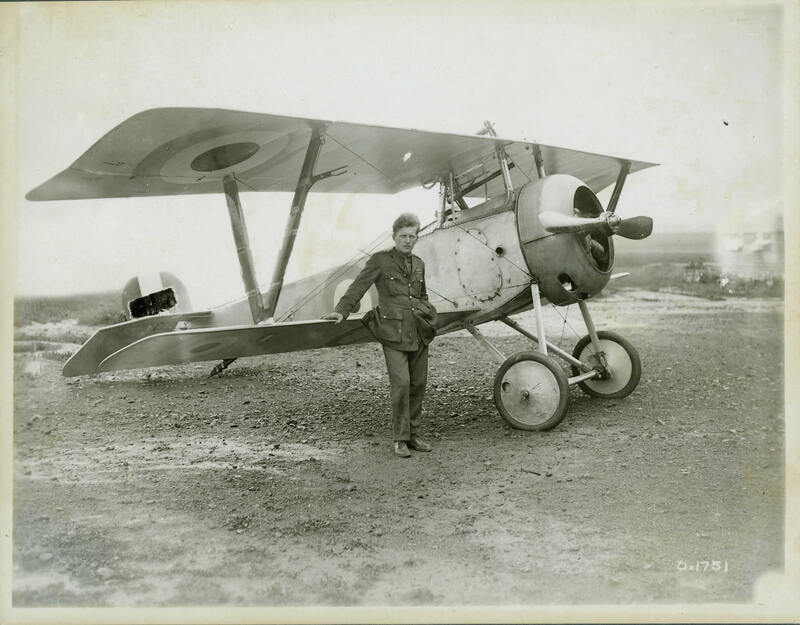 William Avery “Billy” Bishop, V.C. has been credited with 72 victories making him the fourth greatest Ace of the First World War. He was made an honorary Air Marshall of the Royal Canadian Air Force and placed in charge of recruitment in 1938 and developed a training program for pilots across Canada during the Second World War. Stress would eventually see him resign his post in the RCAF in 1944, but remained active in aviation, even offering to return to his recruitment role with the RCAF with the outbreak of the Korean War (he was politely refused by the RCAF due to poor health). Billy passed in his sleep in 1956 while wintering in Palm Beach, Florida and was buried in Greenwood Cemetery in Owen Sound, Ontario where he was born 62 years earlier.